MODESTO, Calif. — A California man has been arrested and charged with plotting a terror attack on San Francisco’s Pier 39 in the name of the barbaric Islamic group ISIS. 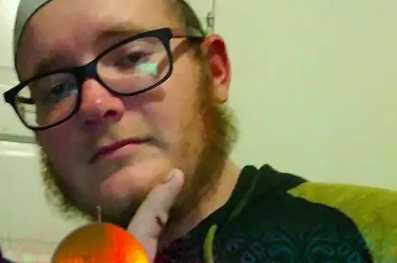 Everitt Jameson, 26, of Modesto was arrested on Dec. 22 and charged with attempting to provide support to a foreign terrorist organization after being investigated by the FBI. The government organization had been tipped that Jameson was posting in support of ISIS in online chat forums. According to the criminal complaint, Jameson referred to the United States as the “darul,” meaning the “land of unbelievers,” and expressed support for the Oct. 31 terror attack in New York City, in which Sayfullo Saipov used a rented truck to plow down pedestrians and bicyclists, resulting in the deaths of eight people. “Tell them anything. I can suit up and take myself to our brothers. Or whatever they need done here,” Jameson responded, according to the report. When asked if he had anything specific in mind, he outlined that he had served in the military and that he was trained in combat. The undercover agent then passed the case to a second agent, who met with Jameson in person, posing as an ISIS leader under al-Baghdadi. The FBI says that Jameson again expressed a willingness to assist the terror organization, stating that he worked for a tow truck company, was familiar with explosives and could also donate money to the cause. The agent told Jameson to think about what he was saying, but Jameson responded he was ready and elaborated on ideas for an attack. He soon mentioned Pier 39 in San Francisco, noting that he was familiar with the area and that there were large crowds at the location. Jameson suggested carrying out a mixed explosive and gun attack the week of Dec. 18-25. A search warrant was executed on Jameson’s home on Dec. 20, and a letter was found that he had written for discovery after the initial planned attack on the pier. Jameson was interviewed during the search, during which he reportedly affirmed his support for ISIS and confessed that he had plotted an attack, stating that he would be happy if such an operation was carried out. He was arrested, and on Dec. 28, a Fresno judge declined to set bail for Jameson. His defense attorney said that Jameson should be allowed bail because he reconsidered the initial plan, but the judge concluded that Jameson posed too much of a risk to the public in light of what he told interviewers and considering his mental health issues, NBC Bay Area reports. Jameson will appear in court on Jan. 5 and faces up to 20 years in prison if convicted. His father told local news station ABC30 that he was shocked by the report. He said that his son had been raised in Christianity, but began following Islam a year ago, around the same time that Jameson and his wife divorced. His children were also removed from the home several months ago.